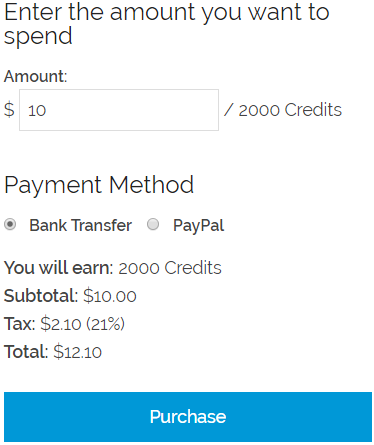 Render a points purchase form. This shortcode accepts different attributes based on the form_type attribute value. Important: Remember that to work with a desired points type, is required to configure the conversion rate of the points type used. 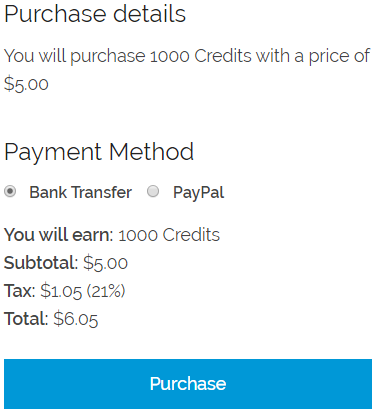 points_type – The points type to be purchased. Accepts: any slug of any points type registered. 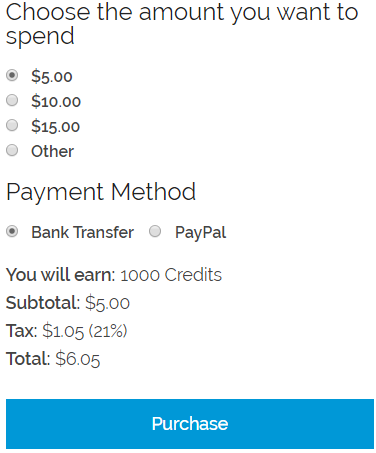 User will see a points purchase form with the configured amount (without possibility to change it). 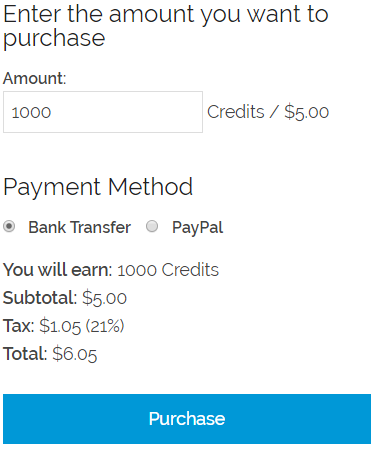 amount – Amount user will purchase (based on the amount type). 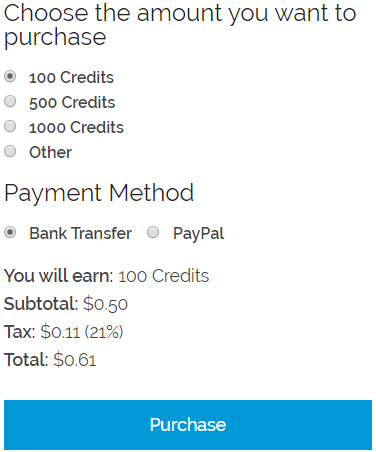 User will see a points purchase form where he can configure the desired amount of points to purchase. If amount_type is set to money, then user will enter the money he wants expend. Every time user changes the amount, the form totals will change without refresh the page. initial_amount – Set the initial amount. 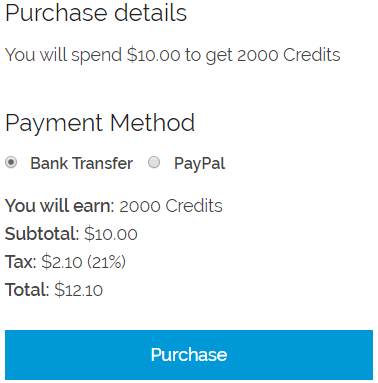 User will see a points purchase form where he can choose an amount of points to purchase. If amount_type is set to money, then options will show money to let user decide how much expend. options – Options available to purchase.